Justice Democrats and Ocasio-Cortez staged a sit-in at Pelosi’s office in November 2018 shortly after the midterm elections. It hadn’t been reported at that time that Ocasio-Cortez — at least on paper — controlled the group staging the protest in the California Democrat’s office. Two months later, in January, Justice Democrats released a video showing Ocasio-Cortez discussing primary challenges with the group’s other leaders. “We gotta primary folks,” Chakrabarti, who previously served as the PAC’s executive director, said in the video. 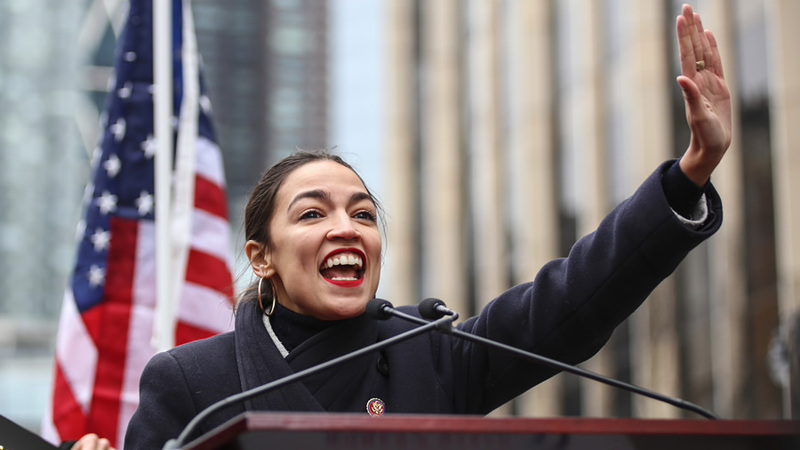 Ocasio-Cortez has echoed the Justice Democrats line: She warned moderate Democrats on Feb. 28 that they were “putting themselves on a list” by voting with Republicans and indicated that she would help replace them with progressives in the next election, The Washington Post reported. Justice Democrats has already publicly marked one center-left Democrat, Texas Rep. Henry Cuellar, for a primary challenge. The group is expected to add more names to the list, The New York Times reported in February. Spokesmen for Pelosi, Ocasio-Cortez and Justice Democrats did not respond to requests for comment.